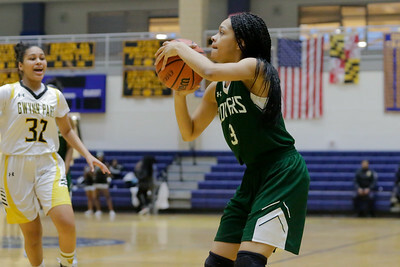 Charles H. Flowers High School girls basketball defeated Gwynn Park 68-59 to win the Prince George’s County Championship on Feb. 27. Photo by Michael Smith/The Prince George's Sentinel. Upper Marlboro, MD, Wednesday, February 27, 2019: C.H. 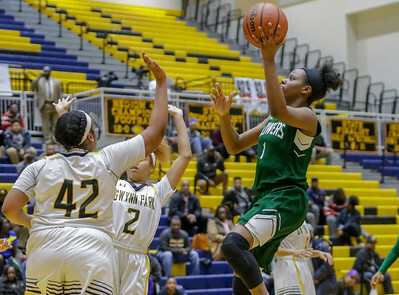 Flowers Jaguars Kaniyah Harris (1) has a shot blocked by Gwynn Park Yellow Jackets Jenae Dublin (24) during the Prince George's County Girl's Basketball Championship held at Henry A. Wise High School in Upper Marlboro, MD. (Michael R. Smith/The Prince George's Sentinel). Upper Marlboro, MD, Wednesday, February 27, 2019: Gwynn Park Yellow Jackets Denai Bowman (1) blocks a shot by C.H. 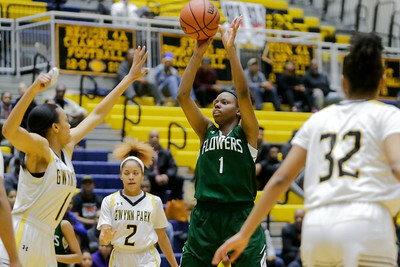 Flowers Jaguars Kaniyah Harris (1) during the Prince George's County Girl's Basketball Championship held at Henry A. Wise High School in Upper Marlboro, MD. (Michael R. Smith/The Prince George's Sentinel). Upper Marlboro, MD, Wednesday, February 27, 2019: C.H. 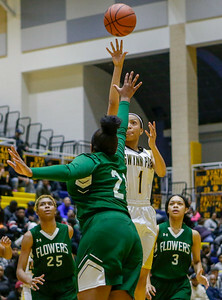 Flowers Jaguars Kaniyah Harris (1) takes a shot over Gwynn Park Yellow Jackets Denai Bowman (1) during the Prince George's County Girl's Basketball Championship held at Henry A. Wise High School in Upper Marlboro, MD. (Michael R. Smith/The Prince George's Sentinel). Upper Marlboro, MD, Wednesday, February 27, 2019: C.H. 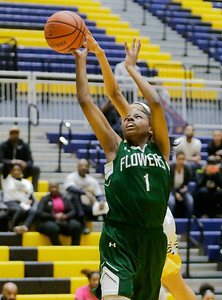 Flowers Jaguars Taniyah Hogg (3) takes a shot during the Prince George's County Girl's Basketball Championship held at Henry A. Wise High School in Upper Marlboro, MD. (Michael R. Smith/The Prince George's Sentinel). Upper Marlboro, MD, Wednesday, February 27, 2019: C.H. 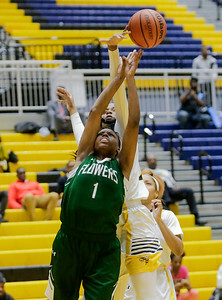 Flowers Jaguars Kaniyah Harris (1) puts up a shot during the Prince George's County Girl's Basketball Championship held at Henry A. Wise High School in Upper Marlboro, MD. (Michael R. Smith/The Prince George's Sentinel). 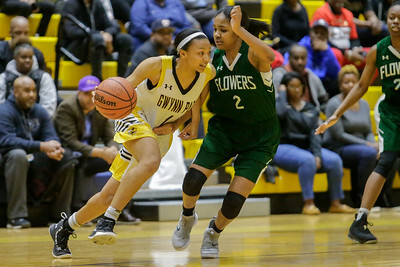 Upper Marlboro, MD, Wednesday, February 27, 2019: Gwynn Park Yellow Jackets Denai Bowman (1) is pressured by C.H. 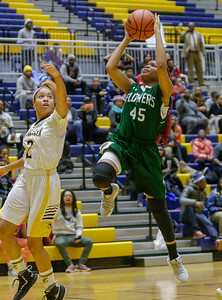 Flowers Jaguars Keona Mathews (2)during the Prince George's County Girl's Basketball Championship held at Henry A. Wise High School in Upper Marlboro, MD. (Michael R. Smith/The Prince George's Sentinel). Upper Marlboro, MD, Wednesday, February 27, 2019: C.H. 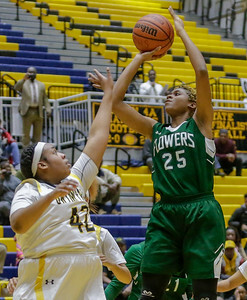 Flowers Jaguars Lashawna Robinson (25) shoots over Gwynn Park Yellow Jackets Rachael Turner (42) during the Prince George's County Girl's Basketball Championship held at Henry A. Wise High School in Upper Marlboro, MD. (Michael R. Smith/The Prince George's Sentinel). Upper Marlboro, MD, Wednesday, February 27, 2019: C.H. Flowers Jaguars Jasmine Hilton (5) scores on a layup during the Prince George's County Girl's Basketball Championship held at Henry A. Wise High School in Upper Marlboro, MD. (Michael R. Smith/The Prince George's Sentinel). Upper Marlboro, MD, Wednesday, February 27, 2019: C.H. 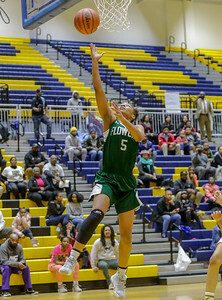 Flowers Jaguars Indira Nzerue (45) goes up for a layup during the Prince George's County Girl's Basketball Championship held at Henry A. Wise High School in Upper Marlboro, MD. (Michael R. Smith/The Prince George's Sentinel). Upper Marlboro, MD, Wednesday, February 27, 2019: Gwynn Park Yellow Jackets Denai Bowman (1) takes a shot over C.H. Flowers Jaguars Cori Robinson (21) during the Prince George's County Girl's Basketball Championship held at Henry A. Wise High School in Upper Marlboro, MD. (Michael R. Smith/The Prince George's Sentinel). Upper Marlboro, MD, Wednesday, February 27, 2019: C.H. 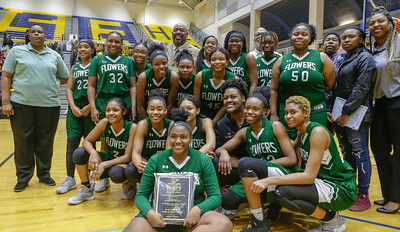 Flowers Jaguars pose after winning the Prince George's County Girl's Basketball Championship held at Henry A. Wise High School in Upper Marlboro, MD. (Michael R. Smith/The Prince George's Sentinel). Upper Marlboro, MD, Wednesday, February 27, 2019: C.H. 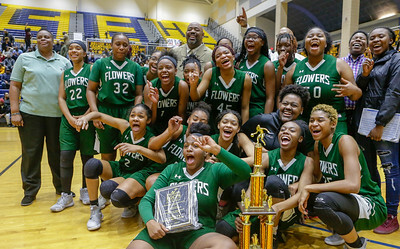 Flowers Jaguars girls basketball are excited after winning the Prince George's County Girl's Basketball Championship held at Henry A. Wise High School in Upper Marlboro, MD. (Michael R. Smith/The Prince George's Sentinel).